A woman in Australia may think she can freely access a safe abortion if she needs to. Until she finds out she can’t. A woman in Australia may think that the battle for control over her body has been fought and won. Until she finds out it hasn’t. In case the news that the Government is considering adding RU486 – the medical abortion pill – to the Pharmaceutical Benefits Scheme (PBS) has lulled you into thinking that women have made equality gains in Australia, think again. Only since last August have I had somewhat, kind of, free-ish access to a medicine that is on the World Heath Organization list of essential medicines. A medicine that is available to my counterparts in about 50 other countries, some for the last 25 years. Currently, RU486 is prohibitively expensive for many of the women who need it. It is prescribed by doctors in a limited number of clinics that many of those women cannot easily get to. And the only reason that it is available at all in Australia is because private providers took up the slack on the government’s obligation to provide access to health care. Surgical abortion requires anesthetic. It requires instruments inserted into the uterus. But since 1988, numerous countries have provided non-surgical alternative to early gestation termination. So the fact that the Australian Government is now poised to follow suit is good news. But the fact that true access to earlier and less traumatic abortion has come only at this extremely late stage is cause to stop and reflect. Our Health Minister has described the Pharmaceutical Benefits Advisory Committee’s recommendation that the federal government subsidize RU486 as an important first step towards the drug being listed on the scheme once the government examined evidence on its safety. To that I say: are you for real? As if this evidence wasn’t already patently clear from 25 years of use in about 50 other countries and the endorsement of the World Health Organization that it should be made available to all women. As if RU486 hasn’t been empirically demonstrated as offering a safe, effective, cheaper, more accessible, less invasive and less stressful option to surgical abortion for women seeking a termination in the early stages of their pregnancy. As if the survey data has not demonstrated that the majority of Australians support a woman’s right to choose. As if the reason why RU486 is not more widely available today in Australia has to do with governmental concern for women’s “safety” instead of political pandering to the pro-life lobby which shut down public access to the therapeutic drug in the mid-1990s. As if the history of law reform has not repeatedly shown the dangers that result when governmental regulation fails to keep step with prevailing social needs and values. This is why women die from backyard abortions. Why they end up in hospital after taking dodgy versions of medical abortion pills ordered in desperation over the internet. Free access to abortion – surgical and medical – does not affect abortion rates but it does directly affect the health and safety of women. How we talk about something is just as important as what we talk about. The way in which this issue has been framed as one of women’s ‘safety’ is startling. It is distracting. It panders to a vocal moral minority. It ignores history and decades of empirical evidence. It conceals how the moral right to bodily autonomy has been simply blown away before in this country by the vicissitudes of politics. When we talk about access to RU486, we talk about women’s access to health care. We talk about the government’s responsibility to represent the social values and political system that give it such power over our bodies in the first place. We talk about equality. Enough talk. It is time for the Government to represent the majority of its electorate and finally implement evidence-based health policy. For real. Sarah Krasnostein is a writer, lawyer and doctoral candidate at Monash University Faculty of Law. 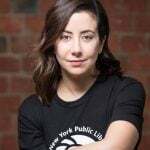 She previously worked at the Victorian Department of Justice and was involved in drafting the Abortion Law Reform Act 2008 which decriminalised abortion in Victoria. She lectures on abortion law reform. Do you think it’s time for the Government to subsidise RU486?